Added on March 15, 2019 by Jo Townshend. Yesterday, JTA had the pleasure of visiting the newly restored Pitzhanger Manor. This Grade I listed 19th century landmark, located in Ealing, was owned by Sir John Soane between 1800 and 1810. Through his time at the property, Soane demolished most of the existing fabric but since the late 20th century, there has been an extensive restoration of the building and its grounds. Works have been set out to return Pitzhanger Manor to Soane’s design, in order to ensure its future as a highly regarded museum and cultural venue for London. The completed works aimed to make the building more easily accessible, allowing visitors to experience this heritage and arts attraction, noticing the restoration of many lost features of the site, Soane’s reinstated architectural vision and the unveiling of the Manor’s rich history. With funding from the Heritage Lottery Fund, works were carried out by architects Jestico +Whiles and experts in conservation, Julian Harrap. Paint archaeology by Hare & Humphreys recovered original colours and surfaces, including an arsenic based colour. A shallow domed stained-glass skylight highlights the library, which was designed in the 1930s by local authority as a homage to Soane, has been restored and reopened with an eye-catching exhibition by sculptor Anish Kapoor. 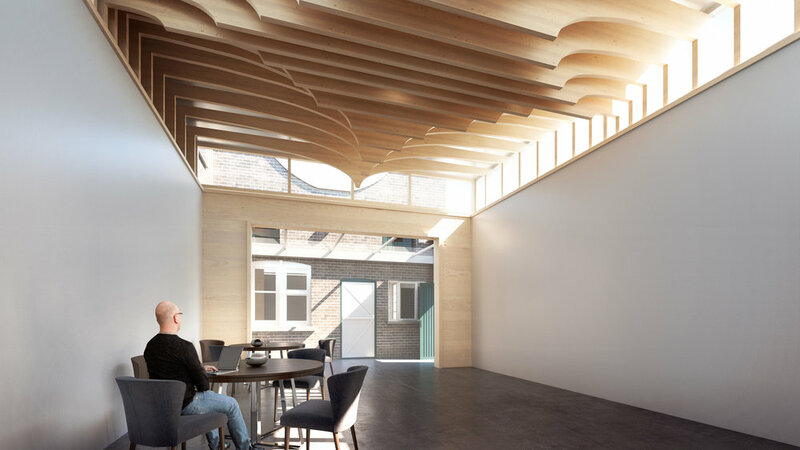 Jo Townshend Architects look forward to moving forward with Pitzhanger Manor and the creation of a space for volunteers, within the existing Lodge Yard of Pitzhanger Manor. Added on February 28, 2019 by Jo Townshend. This year JTA have the pleasure of taking part in the Open City Architecture in Schools programme. We are proud to be part of the programme for another year, working with teachers to inspire school children to gain understanding of how architecture informs the world around them. We are lucky the be surrounded by plentiful of exemplary architecture, and will use this to our advantage whilst helping students to design a ‘Smarter City’. The programme stimulates response to aiding the children’s local communities, using architectural design as a tool for change. Our first session was a training event between architects and schools, where we could exchange ideas and thoughts in preparation for the project ahead. Added on January 4, 2019 by Jo Townshend. JTA are proud to announce that we have been hand-selected to be featured in an editorial idea book on the homepage of Houzz. What a way to start off the New Year! The Keep project was featured in the post ”The 1 Ingredient That Will Transform Your Kitchen or Bath”. Our clients in this terraced Span house required more space to be made before they moved in as they had just had a new baby and wanted to settle in Blackheath. The extension allows great volumes of natural light in with the fully glazed double sliding rear doors and large flat rooflight. Added on January 3, 2019 by Jo Townshend. It always surprises us just how quickly December rolls around! For yet another year JTA had the joy of participating in Family Day, a spectacular community event, ran by Blackheath Halls. As part of the festivities of the day, all held at the newly refurbished Blackheath Halls, JTA led the Blackheath Buccaneer’s Treasure Hunt. The aim of the game being to discover the previously undiscovered about Blackheath Village, getting to know our local area and open our eyes to the wider environment surrounding us. Participants of all ages were provided a booklet that led them around the village, answering questions as they walked and discovering plenty of treasures along the way. Events like Blackheath Village Day bring people together to celebrate all of this and allow us the privilege to have an opportunity to work with talented artists, musicians, chefs, operations and marketing managers from The Blackheath Halls. Working outside of our usual bubble of the construction industry in this way keeps us creative, light-footed and flexible, open to new ideas and ways of thinking and operating. It gives us an opportunity to reflect upon our own sector and practice. It is always a pleasure to take part in events in our local community, and this year was no exception! Added on December 4, 2018 by Jo Townshend. 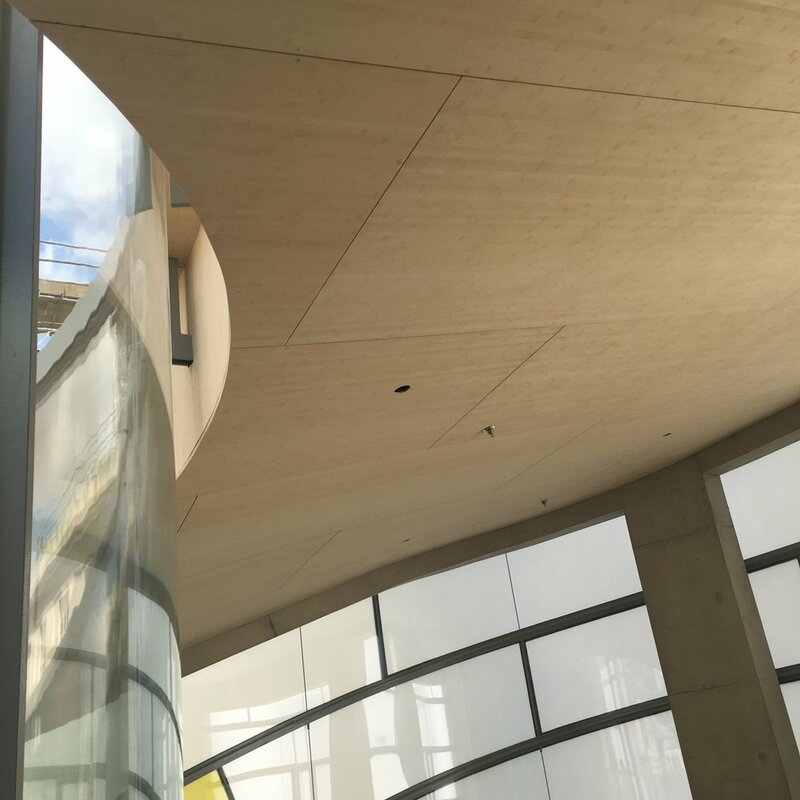 Yesterday JTA were lucky enough to receive a guided tour around the newly completed European headquarters for Bloomberg LP, by Foster’s & Partner’s, which has been recognised as one of the world’s most sustainable office buildings. Nestled between St Paul’s Cathedral and The Bank of England, Bloomberg sits on the site of an ancient Roman temple, with over 4000 artefacts discovered during construction. The development consists of two triangular buildings with a three-part facade of hewn Yorkshire sandstone, bronze fins and full height glazing. Set back from Bloomberg Arcade, behind an undulating glazed facade, the ground level houses restaurants and cafes whilst the upper levels comprise of a grid of fins set within stone bays. The fins provide a visual hierarchy and rhythm to the overall site, with varying scales and densities depending on their orientation and exposure to daylight. They are a crucial feature to the building’s natural ventilation system. Passing through the Vortex at Ground Level, a glass hydraulic lift provides views out over London, dropping you off for a coffee at their sixth-floor ‘pantry’, where there is a direct view of St Paul’s Cathedral. A brass ramp wraps the core of the building, exercising the Bloomberg ethos of openness and collaboration. JTA were specifically impressed with many aspects of this project, and would like to also thank our guide Abi for such a pleasurable time! Entrance to the Vortex feature artwork by Olafur Eliasson. View of St Paul’s Cathedral from ‘The Pantry’ on the 6th floor of Bloomberg. Brass staircase spiralling through the core of the building. Added on August 31, 2018 by Jo Townshend. Pitzhanger Manors most famous resident, the architect, Sir John Soane first worked on designs for the site as a young man before returning to purchase the Manor in 1800. He was responsible for the transformation of the site over the next decade including the design of gardens, ruins, a rebuilt manor, entrance arch and lodge. As part of a major restoration of the entire site, JTA were appointed to create new facilities for volunteers. A listed status recognises the importance and significance of buildings and offers statutory protection against unsympathetic alteration or demolition. Approximately 1% of listed buildings are Grade I, with the inclusion of Pitzhanger Manor, gives national recognition to some of Britain’s most important and unique buildings. The Manor and its surroundings therefore represent an important collection of Soanes works, not just as the assured architect he was by the 1800s, but also some of his formative designs in the form of the Dance Wing. The Manor also has an importance in Soanes personal life as it was purchased in 1800 as a home for his family. This rich heritage represented the context in which JTA approached the project. JTA’s conceptual basis for the design sought to answer the question, "What would Soane do today?” A number of aspects of Soanes work have been explored with the key ideas of: buildings within buildings, lanterns and the play of light, ceiling architecture and innovative technology being used to drive the project and its narrative. Philip Johnson described Soanes approach as that of “Ceiling Architecture.” Ceilings certainly were incredibly important to the spaces that Soane created and he made their presence known by the way they floated elegantly down towards the floor on structures that seem to hold them impossibly. Soane employed lanterns throughout his projects to achieve the illumination required for the spaces he created. Their design was often to encourage the play of light across surfaces or in order to create specific effects. JTA saw the lantern as an opportunity not just to illuminate the space but also to create different spaces beneath, allowing shift and change throughout the day with the changing position of the sun. Consideration of the rich historical context have led to JTA producing a carefully balanced design that struck between the needs of the Trust and those who volunteer at the Manor whilst preserving and sustaining the heritage assets for the future. Added on July 6, 2018 by Jo Townshend. Last week JTA enjoyed a guided tour of St Michaels Church in Blackheath. The church, constructed in the1830’s, is nearing the end of a £1,000,000 restoration project which was funded largely by donations from the local community. Our guided tour took us all the way to the roof where we could appreciate intricate restoration work completed to the external decoration by Fullers Builders and also enjoy stunning views over south east London! Work has been done internally to improve usability making the space more suitable for a variety of community events other than regular worship services. Many thanks to Carolyn Watkins for taking the time to guide us around. We are very much looking forward to visiting again upon completion. Added on March 14, 2018 by Jo Townshend. Last week JTA were lucky enough to be invited to an evening at Walmer Yard; four interlocking houses crafted around a small courtyard in Notting Hill, designed by architect Peter Salter and developed by Crispin Kelly. 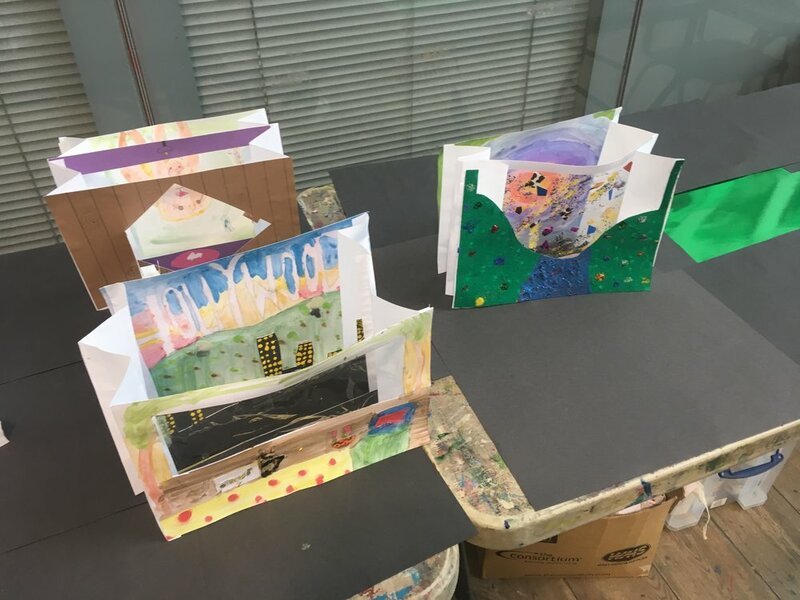 The event was to show thanks to those who contributed to Open City’s Architecture in Schools Programme in which Jo Townshend Architects took part, tutoring a group of year 5s from Eltham in the principles of scale and architectural drawing conventions. We were blown away by the level of consideration that had been applied to produce a space which used interplay of materiality, light and colour so successfully. Every corner turned provided delight and wonder, something we should all strive to achieve in residential developments! 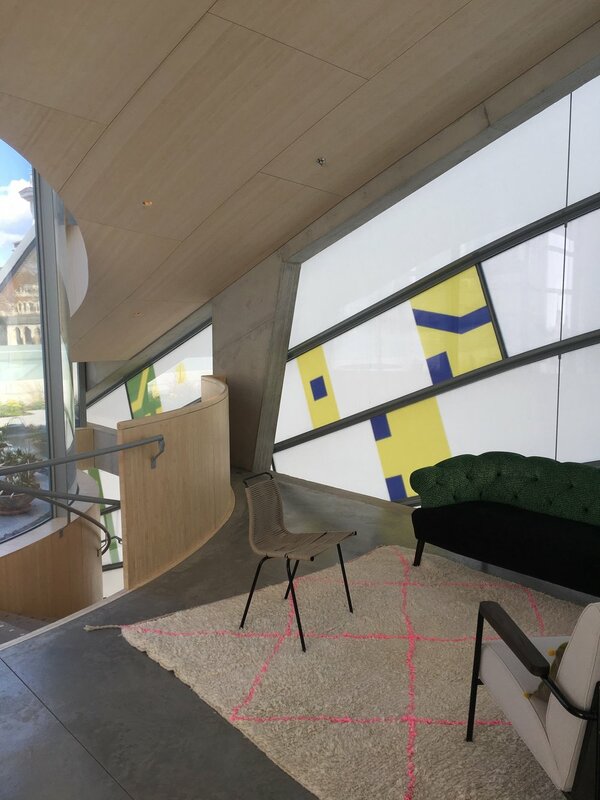 After Peter Salter gave a speech describing some of the design decisions behind the project, visitors were invited to take part in a treasure hunt around the four houses, with each hiding space providing a question for an architectural quiz! This fun activity, fuelled by an excellent selection of drinks and nibbles, provided a great way for us to explore every nook and cranny (and secret staircase!) of each house as well as mingle with architects from other practices. With the quiz answers and impromptu animal/plant based design schemes handed in, the Open City team announced the results. JTA came away with a very proud second place and a lovely goody bag to boot! Hats off to architect Peter Salter and developer Crispin Kelly and many thanks to Sophie Draper and the rest of the Open City team for a great night. Added on February 5, 2018 by Jo Townshend. We are very pleased to announce that JTA has been selected to feature in The Modern House directory of Architects and Designers in recognition of the numerous Eric Lyons Span housing projects that we have worked on in London. Click on the image below to visit the Modern House website and scroll through our Span House portfolio. JTA project featured in Houzz article. Added on November 15, 2017 by Jo Townshend. 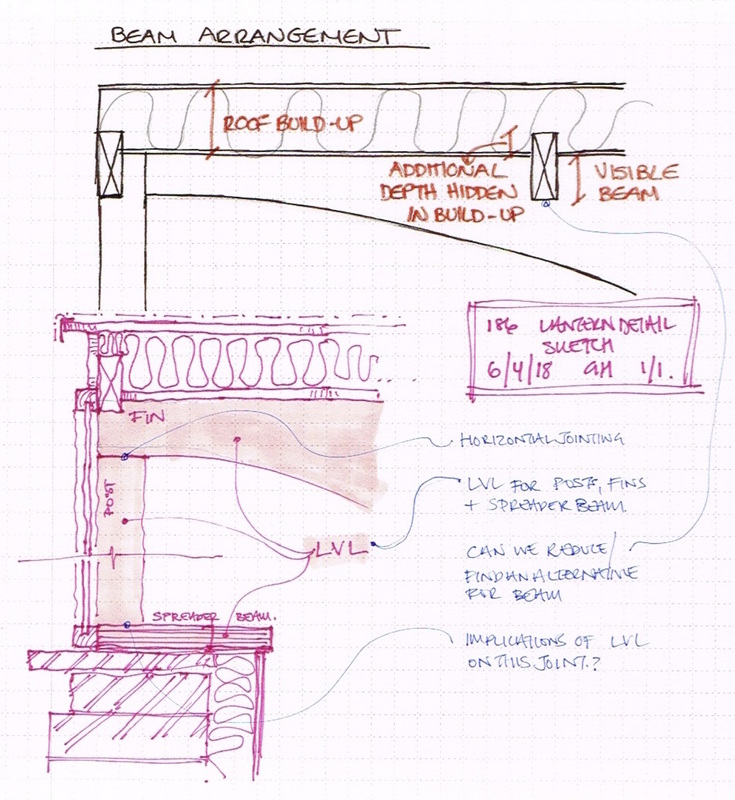 We are delighted to have one of our early Span projects featured in a Houzz article. Click here for full article. Added on October 3, 2017 by Jo Townshend. Open House London promotes the appreciation of architecture within the general public and its annual Open House weekend, which began in 1992, provides an opportunity for anybody to look around buildings that are usually out of bounds. Usually at this time of year, JTA staff are flicking through the Open House brochure and planning their routes across the city. However, this year we decided to team up with The Conservatoire in Blackheath to show off the Grade II listed building that we work from, the oldest surviving purpose-built cultural complex in London. The Silver Anniversary of the Open House weekend was a busy one with over 800 buildings opening their doors. In total, around one hundred building fans came through The Conservatoire buildings to take part in our architectural tours, family workshops and drop-in consultations. The tour groups were walked through each floor of the Music and Arts buildings, discovering beautiful architectural design as well as stories of the colourful characters that occupied the various spaces in the past 120 years. These included Lady Superintendent Miss Mary Botting, young music student Kate Bush, art tutor James Woodford and the Royal Air Force to name but a few. Overall the day was a great success as it allowed us to meet with building enthusiasts from near and far and show off JTA HQ! Further details of the building can be found on the Open House Highlights webpage. Next year we hope to join forces with the Blackheath Musical Halls to provide a bigger Open House weekend event, so be sure to build it in to your 2018 route plan! Special thanks to Art Tutor Kirsten for her craft expertise in the family workshop and to Tuition Administrator Chris for his unbeatable knowledge on the history of The Conservatoire. Added on August 16, 2017 by Jo Townshend. 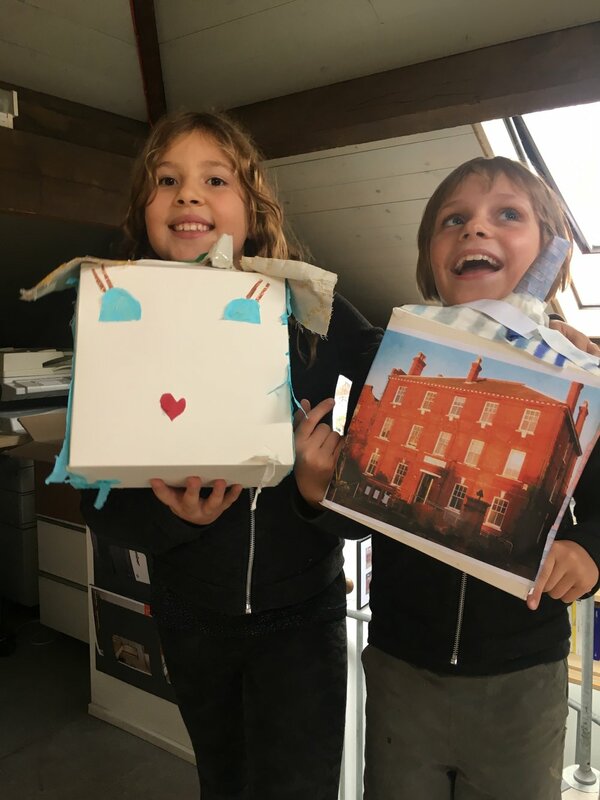 After the success of our 'Architect Your Bedroom' workshop earlier this month JTA held another day of activity based learning, this time for a younger group of children. 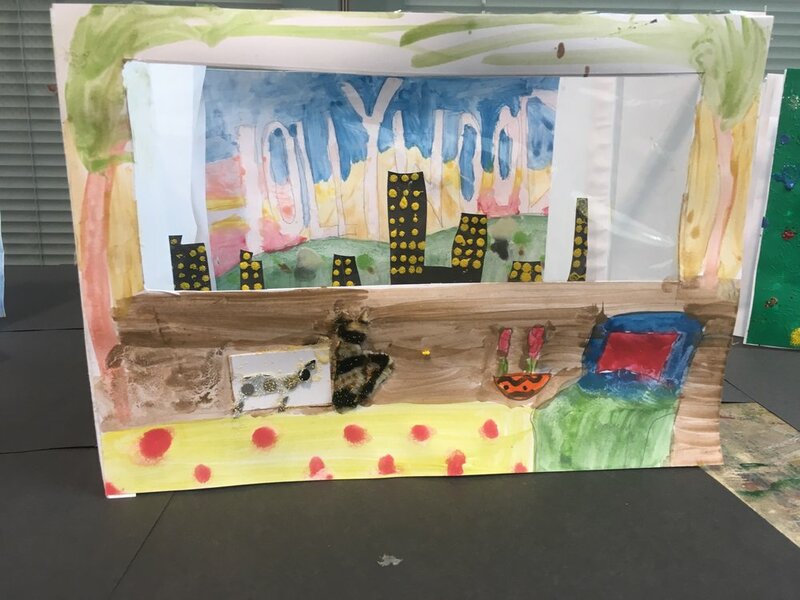 On 15th August we welcomed a group of 5 - 11 year olds along to the Blackheath Conservatoire to reimagine their bedrooms based on fantasy themes and adventure tales. We were taken aback by the outstanding level of creativity that each student summoned and decided to share with you some of the physical models that were produced by the end of the day. Many thanks to Maggie, Verity and Kay who assisted throughout the entire day! On Friday 11th August JTA welcomed a group of 9 to 14 year olds along to the Blackheath Conservatoire to learn how to think and draw like an architect. JTA's George Holland gave an overview of architectural drawing conventions before the budding designers were given the opportunity to redesign their own bedroom. By using the tools they picked up in the session, each young creative came away with a plan and a perspective drawing of their proposed scheme. Many thanks to Kirsten, the art tutor on hand, who helped the students produce some brilliant drawings by using a range of interesting materials and techniques!